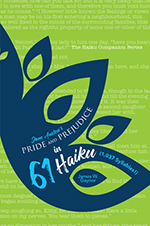 Today I’m welcoming for the first time at From Pemberley to Milton author James W. Gaynor to talk about his recently released book, Jane Austen’s Pride and Prejudice in 61 Haiku (1,037 Syllables!). I didn’t know James W. Gaynor or the book before he contacted me, but the more I read about his career and his book, the more I wanted to talk to him and share all I was discovering with you. I was very interested in Haiku and delighted to see how it could be used on an Austen novel, but I will let you read all about it from James own words on the below interview. I hope you find it interesting and that you are as captivated by Haiku as I was. This is certainly a new take on Jane Austen’s work and I’m glad to receive such a creative author in my blog. Thank you very much for visiting Jim! After returning to New York, Gaynor worked as an editor at Grosset & Dunlap, Cuisine magazine, Scriptwriter News and Forbes Publications. 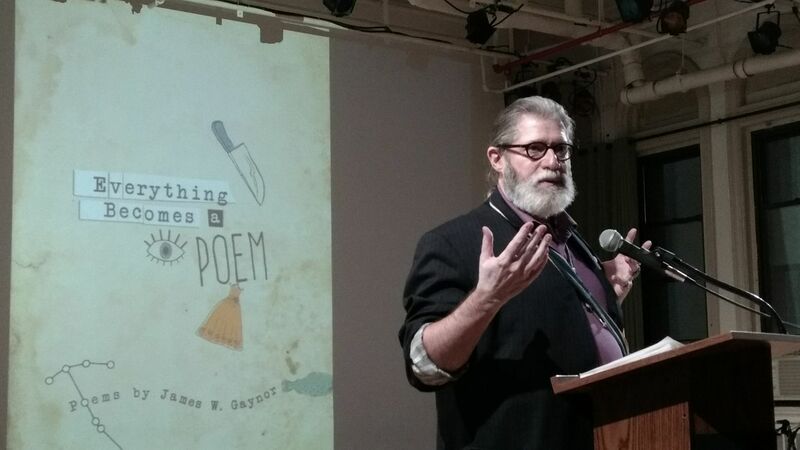 His articles, book reviews, poems and essays have appeared in The New York Observer, OTVmagazine.com, The Gay and Lesbian Review Worldwide, and Peeking Cat Poetry Magazine. As #HaikuJim, Gaynor publishes a daily haiku drawn from current newspaper headlines and is the creator of Can You Haiku? — a corporate communications workshop based on using 17th-Century Japanese poetry techniques to improve effective use of today’s digital platforms. Gaynor recently retired as the Global Verbal Identity Leader for Ernst & Young LLP. Gaynor lives in New York City with his canine companion, Emily Dickinson Gaynor, and the cat who oversees their entwined lives, Gerard Manley Hopkins Gaynor. Thank you so much for allowing me to interview you James, it is a real pleasure. I always like to know when authors discovered Jane Austen and how that happened. When was it for you? I first read Jane Austen (P&P) when I was in high school (1965). Both my parents were Austen fans and by the time I started reading the novel, I had heard “It is a truth universally acknowledged …” quoted enough times to get the sense that I was in for something important. That is quite interesting, I hope to one day impact my children the same way your parents did. So what caught your attention in her writing when you ventured into it? I was too young to fully understand her message(s) in P&P when I first read it, but I did get that marriage and money were linked in ways that didn’t always have to do with romantic love. I also got the sense that she was warning me, somehow. Something I understood and appreciated much later in life. It’s curious that you mention Pride and Prejudice as that is many people’s favourite novel, is it yours as well? P&P is tied with Mansfield Park for me. While Fanny and Edmund are not the most exciting of Austen’s leading characters, I was immediately fascinated by the fact the peace and order of Mansfield Park itself was supported by its darker reflection, Sir Thomas’s sugar plantation in Antigua. I didn’t read MP until I was much older and was stunned by that content (when Fanny questions Edmund about slavery). From what I understand you’ve chosen one of your favourite Austen books and mixed it with Haiku, but I confess I’ve never heard about it before; can you tell us what is Haiku and how did you discover it? So, how did I start? Well, in the early 80s, I experienced a somewhat predictable, spiritually deracinated-Westerner, child-of-the- 60s fascination with Zen Buddhism. I even flirted with the idea of becoming a monk. In that process, I also studied haiku, ikebana (flower arranging), and kendo (a martial art). And how can it be applied to Jane Austen’s Pride and Prejudice? This book came out of my conviction that famous first and last lines of well-known novels are, in fact, short poems that we don’t recognize as such — and, as such, are not unlike haiku. In my work as a poet, I started a series of poems based on famous first and last lines in classic novels, and they’ve been well received. One of my poems “Dorothea Restructured” (based on the last line of Eliot’s Middlemarch) has had an active cyberlife and has appeared in several publications, including my own book, Everything Becomes a Poem (Nemeton Press). When, inevitably, I turned my eye to Austen, I realized that the first line’s fame has, in a way, cast a shadow over all the other chapter first lines — and then I got curious about seeing what Austen was up to in the rest of her novel. So, I created a summarizing word-image haiku of each of the novel’s chapters. I based this approach on my fascination with Austen’s mastery of the opening line, which she demonstrates in the first sentence of each of the 61 chapters, not only in the dazzling beginning of Chapter 1. And in the Notes section I’ve provided a more detailed analysis of the book’s action, based on the criteria established by answering the haiku’s What / Where / When questions. What can readers expect from Pride and Prejudice in 61 Haiku? I know you have lectured at Fordham University on how a poetic / haiku approach to the first lines of Pride and Prejudice can help readers to discover unexpected insights. Can you explain that to my readers as well? And what was the feedback from the audience? I spoke at Fordham on how this approach can help readers to discover unexpected insights — and in so doing, provide an alternative to the wet-shirt Firth-Darcy version of P&P that has, in my opinion, unfairly dominated popular understanding of Austen’s clear, sardonic tone. And the students were excited about looking at the novel’s structure and action from a different perspective. Do you have plans to apply Haiku to any other Jane Austen novel? I’m not sure yet. I like the idea of tackling classics that wide audiences are familiar with, and opening up a door to different interpretations. I think the next book might be either The Iliad & The Odyssey or even the Bible. But, first things first. I’ll have to see what the reaction to this book is. But whatever the reaction, I’m deeply grateful to you for giving me the opportunity to talk about my book with you and your readers. Thank you! James W. Gaynor would like to offer one paperback copy of Jane Austen’s Pride and Prejudice in 61 Haiku (1,037 Syllables!) to one of my readers. The giveaway is international and all you have to do is comment on this post until the 17th of November. Let us know what you thought about this original idea, if you have ever heard about Haiku before, or place your own questions to the author. I’m sure he will be happy to chat with you. The winner will be randomly selected and announced on this blog shortly after the 17th. If you don’t want to miss the announcement, please follow From Pemberley to Milton to make sure you receive an email with this information as soon as it goes live. In New Year’s eve, after returning from Netherfield to London, Mr. Darcy realises he is completely bewitched by Elizabeth Bennet. He starts comparing all other woman to her and in an attempt to forget her, he wishes to find a woman who meets all his standards of the perfect Mrs. Darcy and to see Elizabeth Bennet one last time. At the same time, when returning from an Assembly in Meryton, Elizabeth wishes Mr. Darcy may wish something he will never have. A few minutes later, the carriage transporting Elizabeth and Jane Bennet has an accident and Elizabeth is left inconscient. She wakes up in a beautiful library some time later and believes she is dreaming… until she sees Mr. Darcy. Then her worse nightmare happens and she realises she is in a spirit like manner and attached to none other than Mr. Darcy. On the other hand, he believes he is becoming crazy by seeing and hearing Elizabeth when no one else is able to. After some time and some disagreements, they agree they are neither crazy nor dreaming, but living something very real. 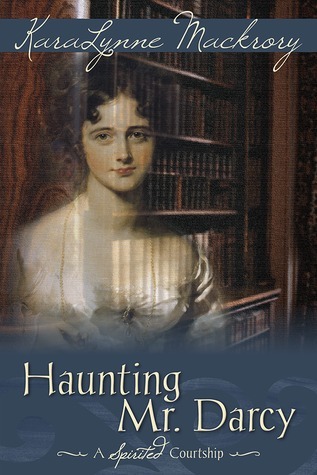 Elizabeth’s spirit is indeed bound to Mr. Darcy and he is the only one able to see or talk to her, but her body remains inconscient in Longbourn and we start wondering if she will ever get her soul and body together in one piece. I’m convinced this book is a masterpiece and I have to congratulate both the writer and the editor for it. Books like this make me want to read non-stop 24/7. The author captures Elizabeth and Darcy’s feelings and expressions so intensely that his declaration of love literally took my breath away. The entire scene was pure perfection and I could clearly picture every single moment in my head. The way these two characters connect is beautiful, and in this book the author creates the necessary scenes for them to feel angst, anger, disappointment, love and hope. By doing so, she didn’t need to explain the characters feelings in a cold, descriptive manner because we know exactly what they were feeling considering we are feeling it in our hearts as well. Haunting Mr. Darcy is a rollercoaster of emotions. In one minute we are reading the most romantic scene we could imagine and before we know it we are dreading what may happen and suffering the characters sorrows in the most acute way. The easiness with which the author engages our emotions makes us completely glued to it, and readers will only be able to let go of this book once they reach the end, and some of them like myself, will not even be able to let go by then as the need to re-read it will definitely overcome them. I found myself not wanting this book to end but at the same time I could not stop reading it until it was over. It is a MUST read JAFF book.